On Wednesday the Faith Council went to the Salford Cathedral for Faith council training with Sister Judith and to be commissioned by Cannon McBride. While we were there Sister Judith told us a story about a solider called Martin and we got to join us acting out the story. 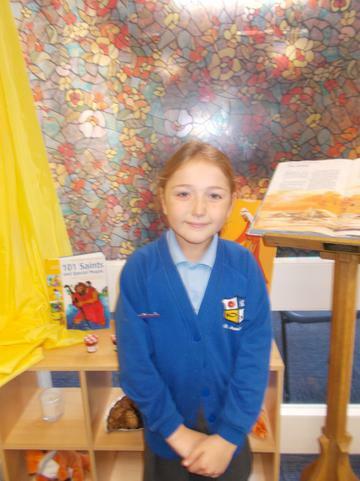 At the end she explained how Martin become saint and is now the patron saint of Chaplains. She told us where the word Chaplain comes from and how important it is for us. We were then given some help putting together an action plan. 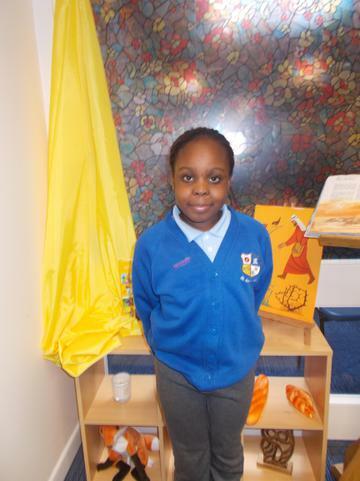 With ideas of what we were going to do to in our school to teach other children about their faith. The day ended with our commissioning service led by Canon McBride, and we each received a special scroll to show our important role in school. Faith Council then all took a photograph with Sister Judith and both of the Priests. Our harvest collection this year was for the THOMAS centre Blackburn. Pupils brought in canned goods, which we donated to the charity, who work with homeless people in Blackburn. 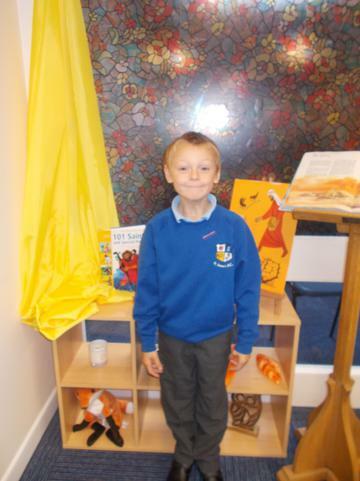 The pupils who are in School Council and Faith Council delivered the collection to the THOMAS centre. They were very thankful for what they received. Hi, I'm Rian and I’m in Year 3. I want to be in faith council to spread the word of God. I will help others learn how much god loves them. Hi, I'm Favor and I’m in Year 3. I want to be in faith council because I want to grow closer to God and make the world a better place. 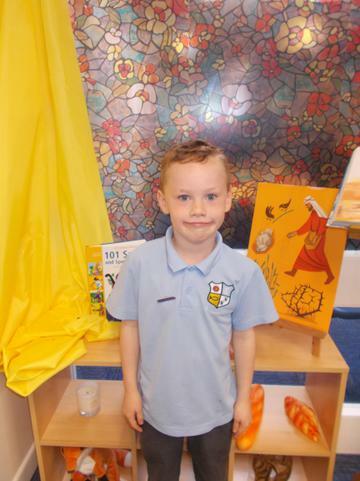 Hi, I'm Declan and I’m in Year 4. I want to be in faith council because I want to help the teachers plan worship. 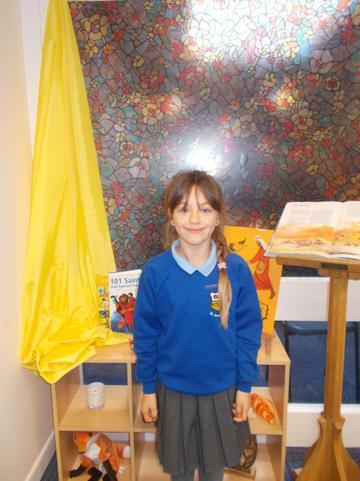 Hi, my name is Olivia and I’m in Year 4. I want to be in faith council because I want to help people. I promise to look after everyone. 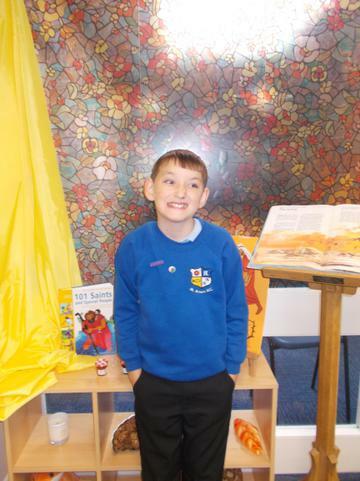 Hi, I'm Szymon and I’m in Year 5. I want to be in faith council to help sick people and people who are sad. I promise to raise money for charities. Hi. I'm Favour, I’m in Year 5. I want to be in faith council because I want to learn more about God and his disciples. I promise to help people who are sad, homeless and poor. Hi, name is Lewis and I’m in Year 6. I want to be in faith council because I want to be closer to God and spread the word of God. I want to travel to different places to help them. 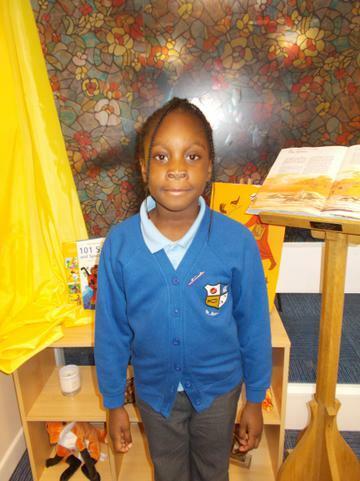 Hi, I'm Grace and I’m in Year 6. 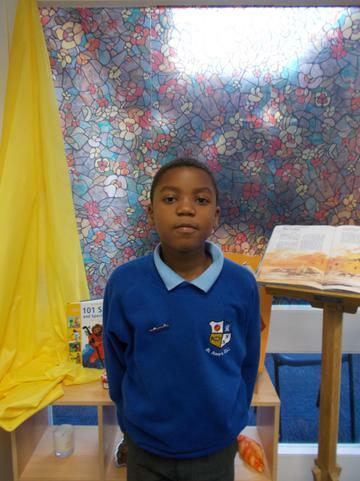 I want to be in faith council because I want to spread the word of God and so I can grow up to be a good person. I will be able to teach people the rosary.